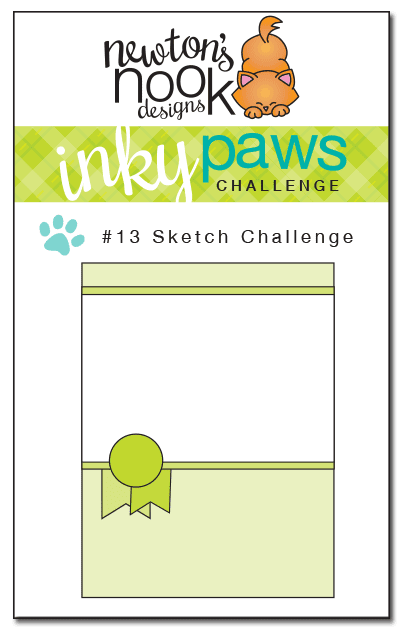 Happy Friday and the the first day of #13 Inky Paws Challenge! You have two weeks to play along. Deadline to enter is Friday, September 12th, 2014 at Midnight CST. The winners will be announced on the NND blog on Sunday, September 14th. Post your project to your blog or to an online photo gallery such as Flickr , Pinterest, or splitcoaststampers (on splitcoast please use keywords newtonsnook and IPC13). Several of our Design Team Members and our August Guest Designer decided to play along - Read the description below each card to see who made it! 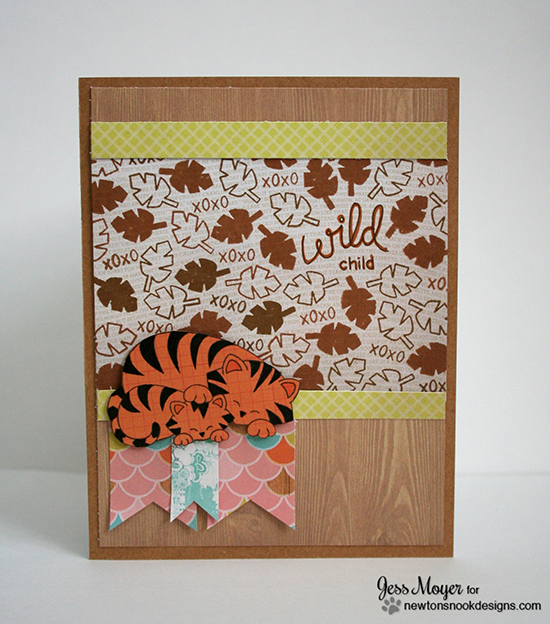 Jess created these adorable card using the tigers from our Wild Child stamp set. I love how she created that fun background with the leaves from the Wild Child stamp set and the "xoxo" from the Sweetheart Tails stamp set! Samantha created these adorable card using our boatful of gifts from our SEAson's Greetings stamp set and added some words from our new Simply Sentimental stamp set! Such a fun way to get more mileage our of a holiday set! 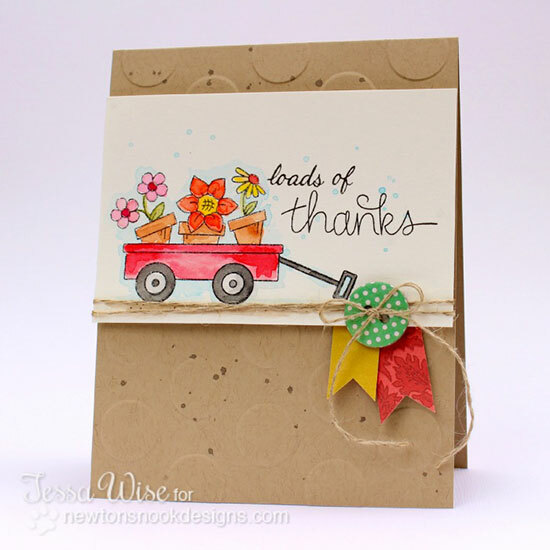 Tessa created this fun challenge card using wagon from our Wagon of Wishes stamp set and added the big "thanks" from our new Simply Sentimental stamp set! What a great Fall thank-you card! 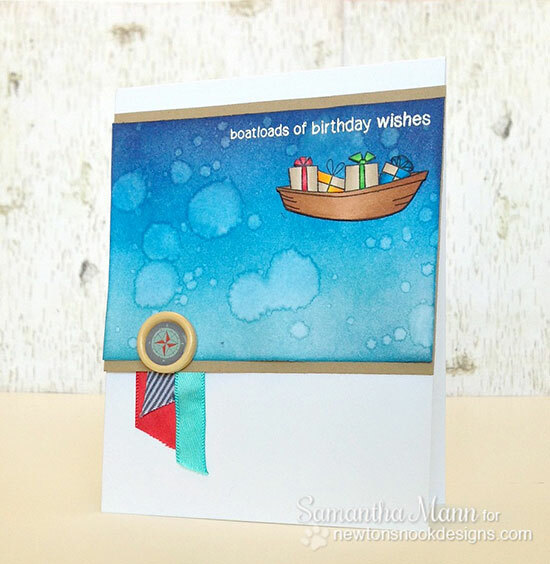 Shellye used our new Hanging Around stamp set for her challenge card. I love that cute little squirrel hanging off the edge! Chitra, our Guest this month, made this adorable card, also with the, too cute for words, squirrel from Hanging Around! He looks so sweet hanging onto the "thanks" from Simply Sentimental! I just love the blues of the sheer ribbons and the umbrellas on the patterned paper! And here's one from me. I had to use the Newton's Summer Vacation Set one more time before starting to play with fall stamps! I added some watercolor splashes too - just for fun!